Following two days of intense qualifying battles the full player roster for the Seamaster 2018 ITTF World Tour Platinum Australian Open has finally been decided and as expected there are plenty of fascinating encounters to look forward to with the arrival of the seeded stars in Geelong. Here’s a quick look at the line-up for Thursday 26th July. With the home fans on her side Jian Fang Lay will attempt to ensure Australia’s presence in the last 16 of the Women’s Singles draw, but the task won’t be straightforward for the no.16 seed with Chinese qualifier He Zhuojia providing the opposition. 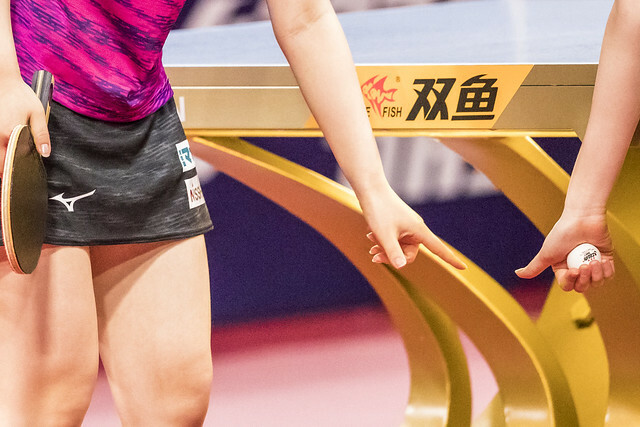 The opening round of the Women’s Singles competition will also see a major clash between fourth seed Miu Hirano and Yang Haeun: this will be their third head-to-head encounter on the ITTF World Tour with the Japanese and Korean players currently tied at one win apiece – who will prevail when they meet in Geelong? Crowned Commonwealth Champion on Australian soil in April of this year, India’s Manika Batra will be hoping that Down Under continues to treat her kindly as she does battle with eighth seed Hitomi Sato of Japan while China’s Ding Ning, seeded seventh, takes on Chinese Taipei’s Cheng Hsien-Tzu. Two of Korea Republic’s finest players are scheduled to face one another in the first round of the Men’s Singles draw with Lee Sangsu going head-to-head with Jeoung Youngsik. In their first encounter since 2016, no.3 seed Lee Sangsu is searching for a first victory over his fellow countryman but will he be frustrated once again by the unseeded qualifier? Dimitrij Ovtcharov is competing at just his second ITTF World Tour event since his recent return from injury and will begin his campaign in Geelong against Chinese opposition in the form of Yu Ziyang. The winner of the tie will go on to set up a match with either Japan’s Maharu Yoshimura or Chinese Taipei’s Chuang Chih-Yuan in a difficult Round of 16 fixture. Nigeria’s Quadri Aruna will also be seen in action on day one as he aims to negotiate an opening round encounter with Germany’s Ricardo Walther in their first-ever international meeting. Hugo Calderano and Jun Mizutani, seeded sixth and eighth respectively, face Liu Dingshuo and Yuya Oshima in their opening round contests.